BlackwaterBLUE from monkster.com: André Villas-Boas: too good to be true? André Villas-Boas: too good to be true? André Villas-Boas, the 33-year-old Portuguese National who never played professional football and spent much of his life in Jose Mourinho’s coaching setup, looks set for the Chelsea job. Conflicting reports are currently circulating in the media, centring on Roman Abramovich’s reticence to buy out Villas-Boas' Porto contract at a cost of around €15 million. It would be a bold move by the Russian Oligarch to place the reigns of his drifting Chelsea empire in the hands of a man with under two years of managerial experience. Villas-Boas, who is the same age as Chelsea stars Didier Drogba and Frank Lampard, looks set for the biggest break of his career. The man who two years ago was firmly entrenched in the shade of Mourinho’s ego, could well, two years later, step blinking into the Stamford Bridge light. Well, what do we know of this new wonder-manager? The story started some 17 years ago, when a 16-year-old avid Porto fan lived in the same apartment block as then Porto manager Bobby Robson. Boas approached Robson on a number of occasions, and the late Sir Bobby was so enamoured with the tactical acumen the young man showed that he offered him a job in Porto’s 'observation department'. 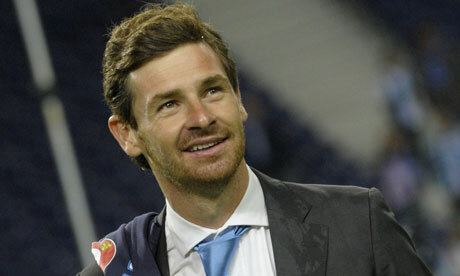 A year later, aged just 17, Villas-Boas achieved his UEFA C coaching licence on a course in Scotland. The young Boas continued to ply his trade in the Portuguese club’s coaching setup, particularly impressing Robson with his fluency in the manager's native English tongue. Four years later, Villas-Boas took the step up into management, as head coach of the British Virgin Islands national side. He only lasted a year with the BVI before returning to his old stomping ground of Porto to take up a position as assistant to a then relatively unknown Mourinho. As Villas-Boas quietly blended into the background, the now Special One, moved from Porto to Chelsea and finally on to Inter Milan. At the start of the 2009/10 season, André Villas-Boas took the decision to remove himself from the Mourinho coaching setup and left to pursue his own managerial path. It was not long until he got his first break; after the resignation of Academica coach Rogério Gonçalves, the team at the bottom of the Portuguese Premeira Liga turned to the fresh-faced 31-year-old Villas-Boas. Academica were last in the table and without a win to their name all season. However, the young manager instilled in the side his now distinctive style of play and took the minnows to 11th place, ten points clear of relegation. Villa-Boas’ impressive debut season and attractive playing style led to intense media speculation linking him with the vacant managerial position at Sporting Club de Portugal, but when Jesualdo Ferreira left Portugal’s other superpower a few weeks later, the reigns were handed to Villas-Boas. Porto was where the world really started to take notice... It only took two months for the first trophy of the Villas-Boas era: a 2-0 Portuguese Super Cup victory over archrival Benfica. On 18 May 2011, by winning the UEFA Europa League, he is the youngest manager ever to win a European competition, at 33 years and 213 days of age. On 22 May 2011, Villas-Boas won the treble by winning the Portuguese Cup, and making Porto the first (and only) European team to win a treble twice (Portuguese League, Portuguese Cup and UEFA Cup/UEFA Europa League).